Blackleg close up. A new CCC video takes you down to the microscopic level to see how blackleg infects canola and how resistance works. Straight goods. When straight combining canola for the first time, start with one or two fields chosen for high uniformity, good stand, no weeds and lower frost risk. Peer pressure. Do your own insect risk assessments. Bertha armyworm numbers are generally low, but isolated hotspots can pop up. Don’t be caught by regional complacency. Lygus seem to be plentiful in some regions this week, but that doesn’t mean YOU need to spray. Hail to pods. 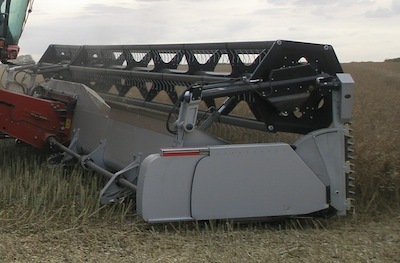 Before jumping the swathing gun to save pods rattled by late-season hail, consider the condition of those pods lower in the canopy that will contribute more to yield. *CCC agronomy specialist Angela Brackenreed shot the photo at the top while on a helicopter tour of western Manitoba last week. Effects of extreme water levels through May and June are evident. 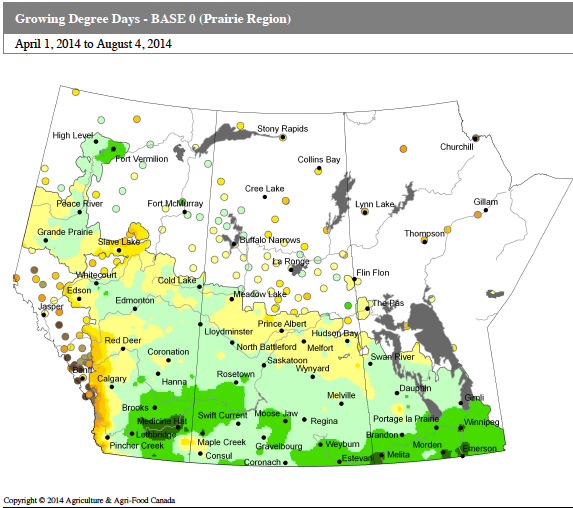 Here are the growing degree days (Base 0°C) for the Prairies from April 1 to August 4, 2014. Pre-harvest scouting is upon us. How are your pre-harvest disease ID skills? Here is a quick test. 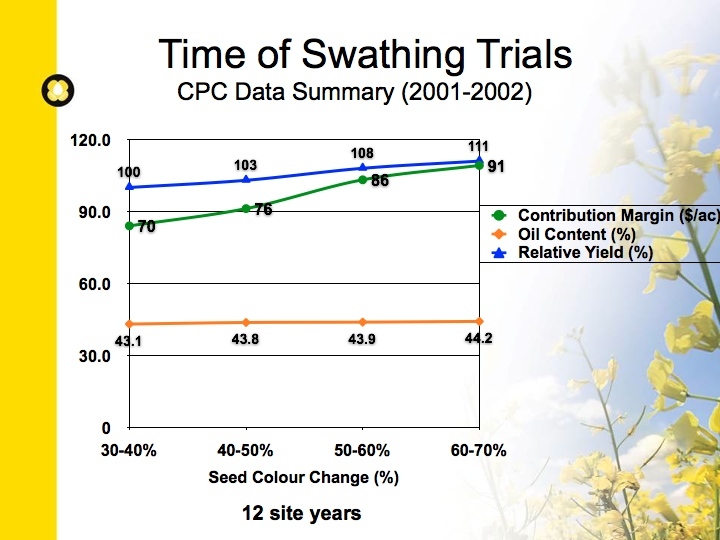 Cutting canola after 50% seed colour change will increase crop yields because side branches have longer to fill and average seed size for the whole plant is larger. 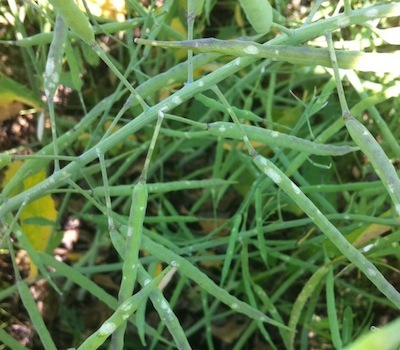 Late season hail can damage pods and increase the shattering risk for those pods. Before jumping the gun and swathing too early, take these decision-making steps…. 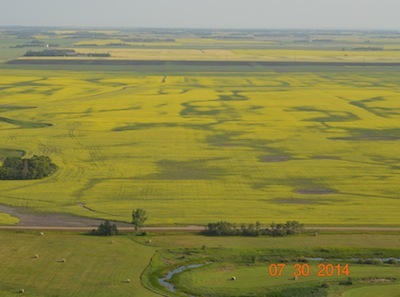 Read more for summer tours and other canola-related events across the Prairies.